I burnt what I cooked. It happens. Yesterday on the grill (flank steak…charred to a show leather state) and today in the rotisserie (Chicken thighs turned blackened hockey pucks). Why? Not paying attention. Busy with life as usual but I have been wanting to write about eggs, so I scrambled a couple. Yep, that little white orb full of goodness. Let’s start with a discussion of my first encounter with Parisian scrambled eggs. First, you have to get to Paris, then you have to have them cooked at the Four Seasons, George V. Seriously, you already know you are not going to have just any scrambled eggs. Order them at 18 euros a pop (or have someone else order them so they can pay for them). Cooked in a traditional French manner, the eggs are whipped before going into a double boiler. Stirred ever so gently, adding melted butter a teaspoon at a time. Gently stir, until you get light, small yellow curds. It’s actually an intense, long process (longer than a music video) that we don’t see in the States. (At least, I never have.) By using, low heat under the double boiler, it creates the most insanely, decadent taste and mouth-feel ever. Luscious, rich, creamy, buttery….truly a Godly preparation. Serve with a warmed baguette and maybe, if you are Rockfeller, some caviar for dinner. Heaven. 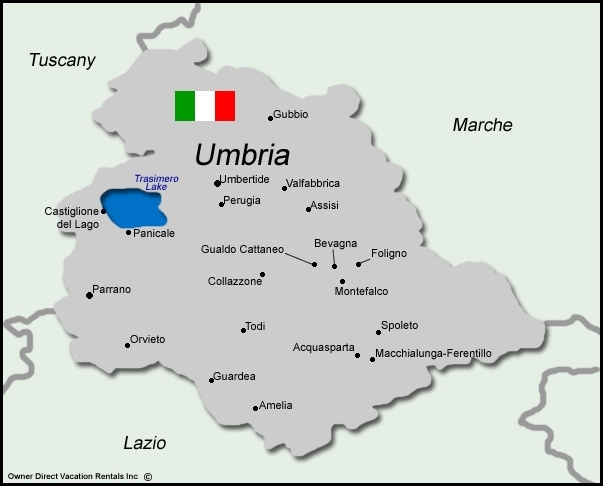 Now let’s fly south to my favorite area of Italy, Umbria, the heart as it’s called and the only area of the country that is not bordered by water. It’s a stunningly, verdant low-lying mountainous region with medeival walled towns hanging form the sides of cliffs such as Spello and Montefalco. Down in the valley floor which would be Assisi and Bevagna and also vineyards and farms. The stretch of towns which include Spoleto, Norcia, Foligno and Trevi is also known as “La Strada di Sagrantino”, the delicious grape varietal made popular in the states by Arnaldo Caprai Wines, a public relations client that I which had brought me to the area. While working with the homebase of Montefalco is where I discovered Umbrian eggs. The eggs are laid by just your garden variety Italian chickens and essentially fed a diet of whole grains, grown in the area. (This is a testament to Slow Food and local food production) These birds produce a bright, orangey-colored yolk that is slightly thicker than the American variety. At first glance, I questioned the hosts at the small hotel where we were staying, an Italianate home coverted to a bed & breakfast, “Where did you get these eggs?” And their reply was at the local farmers market. The color was so bright and a little disconcerting, as I thought they were produced by leftover radioactive chickens flown in from Chernobyl. They are the color of the African sunset and are really something to behold. For me, it’s the 9th World Wonder. Served with a variety of “norcineria” or Italian charcuterie (mortadella, salumi) and an Italian bread or tossed in pasta, like Pasta alla Cabonnara, a gentle feast for the senses. SPECIAL EQUIPMENT: A double boiler. 1. Put two melted tablespoons over low heat in the top of the double boiler. 2. Scramble together eggs, cooled and melted butter, salt and pepper until the whites and yolks are completely combined. 3. Slowly pour the eggs into the double boiler and stir with a wooden spoon as the butter melts. Continue stirring, scraping the bottom and sides of the pan, until the eggs have thickened into soft, creamy curds. Oh about 10 to 15 minutes. Serve on warm plates as you want the eggs to still cook while heading to the table. Also, have really good bread around to scrape up what you didn’t shovel into your mouth. BEST EGGS EVER.